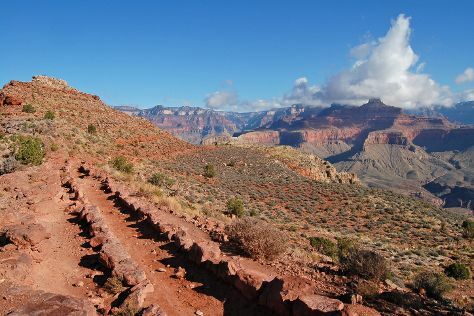 Kick off your visit on the 21st (Sun): trek along South Kaibab Trail, then take in breathtaking views at Grand Canyon South Rim, then take in breathtaking views at Yavapai Point, and finally get curious at Yavapai Geology Museum. Plan my day in Grand Canyon National Park using traveler tips and tourist information provided by Inspirock. Expect a daytime high around 84°F in July, and nighttime lows around 52°F. Finish your sightseeing early on the 21st (Sun) to allow enough time to travel back home.